Step into the hallucinatory world of artist Gary Card, bursting with bizarre explosions of clay figures and strange faces that leave you feeling nostalgic for the silly imagination of childhood. In his series Happy Breakfast, Card digitally creates compositions that are filled to the edges with tangled imagery, packed with anything you can imagine, such as dinosaur toys, clay elephants with hats and green eyeballs. Each of the artist’s images is like an opened junk drawer or a toy chest dumped out on the floor, arranged to somehow create a perfect balance in the surreal chaos. 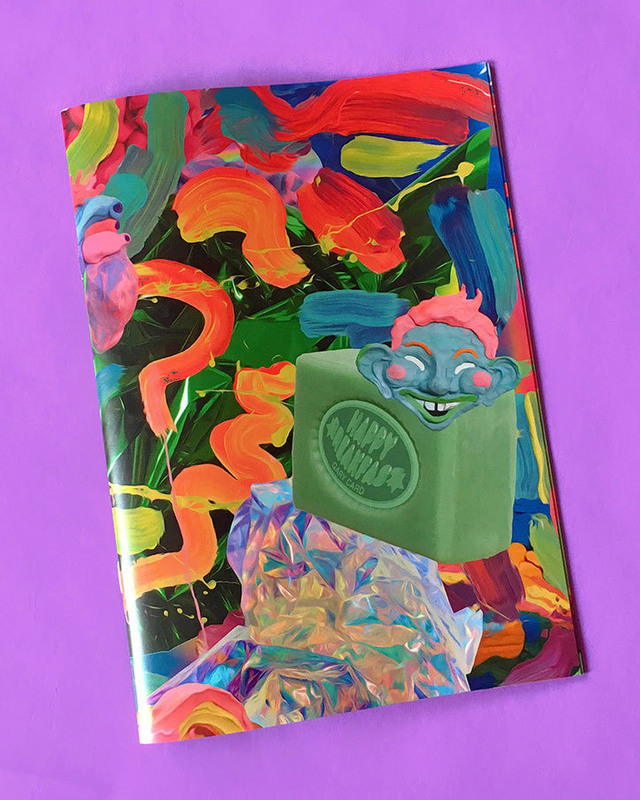 Originally beginning as a commission from a Japanese magazine, Gary Card has continued the Happy Breakfast series, turning it into a zine with 22 pages containing his psychedelic images. Gary Card works as a set designer among other roles in the world of fashion, and you may have seen his work in places like Vogue, Dazed, or even on Lady Gaga. He originally studied theatre design at Central St. Martins College of Art and Design in London, where he currently lives and works. Card’s scenes of monstrous creatures and vivid, explosive hues can be seen in person at Golborne Gallery in London from September 14th to October 1st. More information on Gary Card’s Happy Breakfast zine can be found at New World International, a London based publishing house.